Rich Text Box is a custom action in the ribbon toolbar to add rich text box into the form. Rich Text Box is generally used for displaying, entering and manipulating text with formatting. 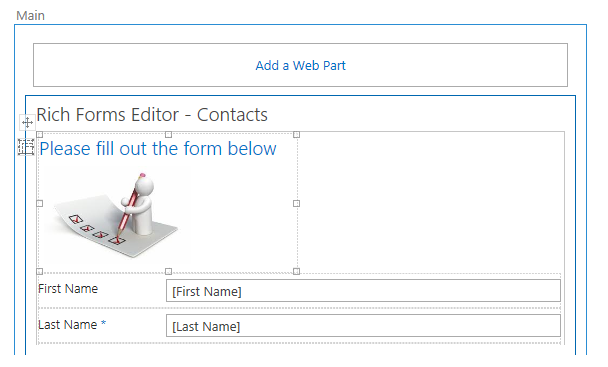 Now your form can be extended with the freely editable text, hyperlinks, tables or media. Fields are moved to the editable area by simple drag & dropping.